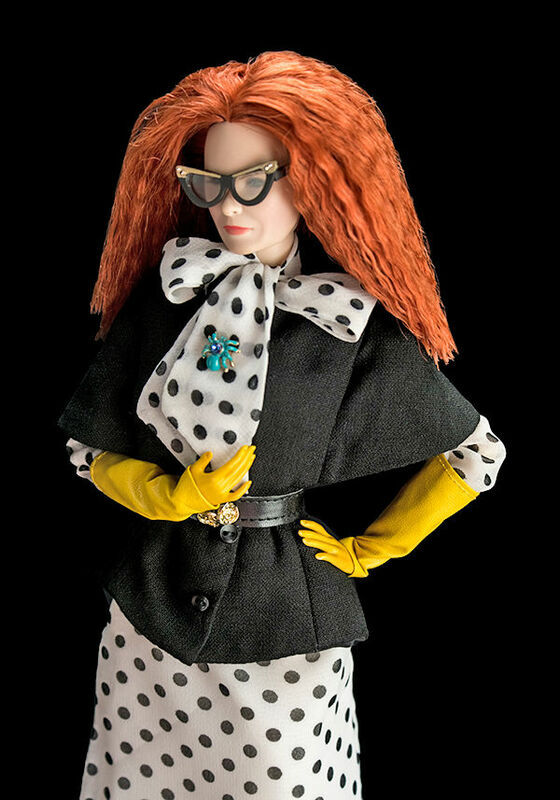 Myrtle Snow is a 12.5-inch fully articulated fashion doll with fully rooted hair and hand-applied eyelashes. Brilliantly portrayed on-screen by actress Frances Conroy, the eccentric Myrtle Snow served as the Head of the Witches Council on American Horror Story: Coven™. Despite her complicated past with Fiona Goode, Myrtle had a very close relationship with Fiona's daughter, Cordelia Foxx. Defining herself as "a Guardian of veracity in the vernacular", Myrtle was a woman with the air of a traveled sophisticate who was usually seen wearing haute couture.